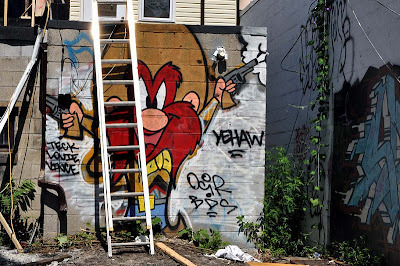 Cripes, winter might end soon and spring tends to bring April showers, so stop being depressed and get out and fun in Toronto. The sun will be out tomorrow, tomorrow, bet your bottom dollar (does Toronto have it's casino yet?). 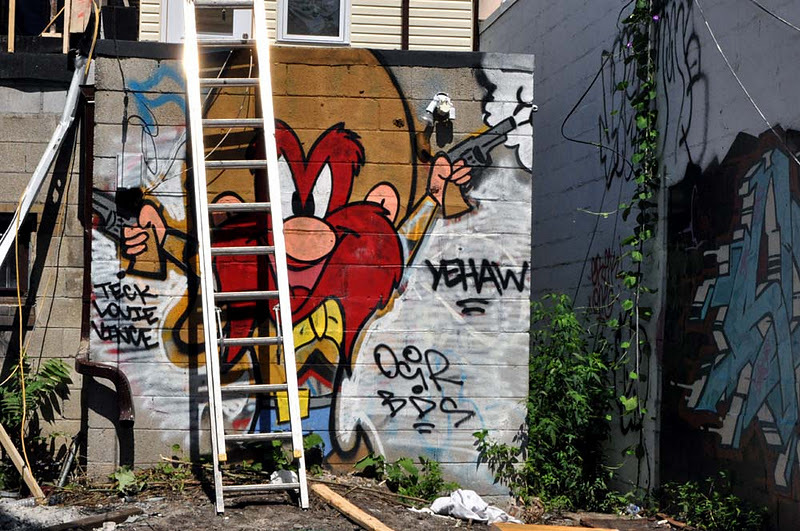 Yosemite Sam fills the air with hot lead on a mural in the Queen Street West Graffiti Alley in the photo at top. International Bicycle Show Fri to Sun, Mar 2-4. Toronto Roller Derby League Sat Mar 3. Toronto Beaches Lions Easter Parade Sun Apr 8. Toronto Sugarbush Maple Syrup Festival Mar 3 - April 9. Megaspeed Custom Car and Truck Show Fri to Sun, Mar 9-11. Toronto ComicCON and Toronto AnimeCON Sat to Sun, Mar 10-11. Come for the costumes, read a few comics. Spring Fling March Break Fri to Fri, Mar 12-16. LG Fashion Week Mon to Sat, Mar 12-17. St Patricks Day Parade Sun Mar 11. Canada Blooms Tue to Sun, Mar 16-25. Toronto Wine and Cheese Show Fri to Sun, Mar 16-18.
International Spring Motorcycle Show Sat to Sun, Mar 17-18. Canadian Music Fest Wed to Sun, Mar 21-25. Monster Energy AMA Supercross Sat Mar 24. National Motorcycle Show Sat to Sun, Mar 31-Apr 1. Toronto Roller Derby League: Quad City Chaos Sat to Sun, Mar 31- April 1. Earth Hour Sat Mar 31 at 8:30pm. Bazaar of the Bizarre: Spring Marketplace Sunday Apr 1. 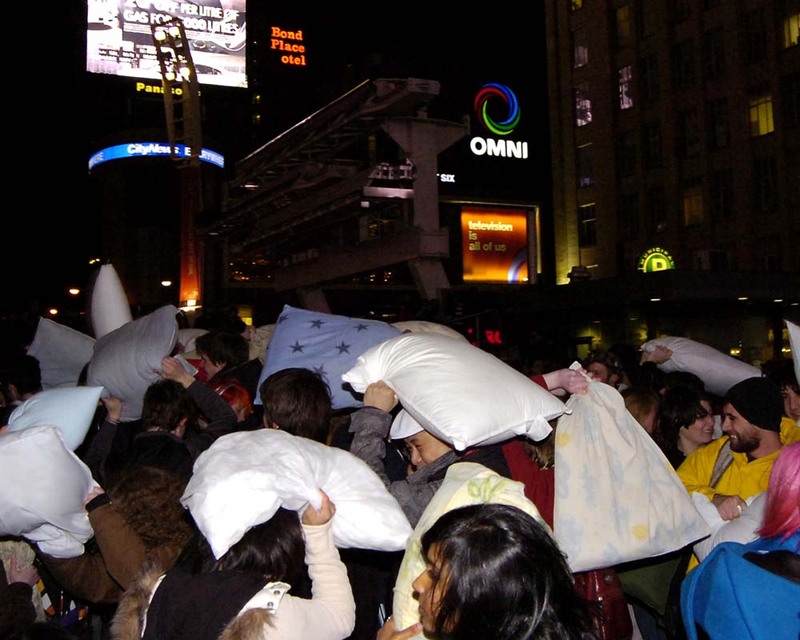 Toronto Pillow Fight 2012: Saturday Apr 7, 8pm to midnight. Toronto Blue Jays: Home Opener Mon Apr 9. Toronto Roller Derby League Sun Apr 1 (Quad City Chaos) and Sat Apr 14. Wizard World Toronto ComicCon Sat to Sun, Apr 14-15. Get your bikes to the second 2012 Friday the 13th Port Dover Motorcycle Rally Fri April 13. If we are lucky it will be an early spring and the Cherry Blossoms with fill the trees and the air with their scent at places like High Park, above. Check out the blossom updates here. Sweet! 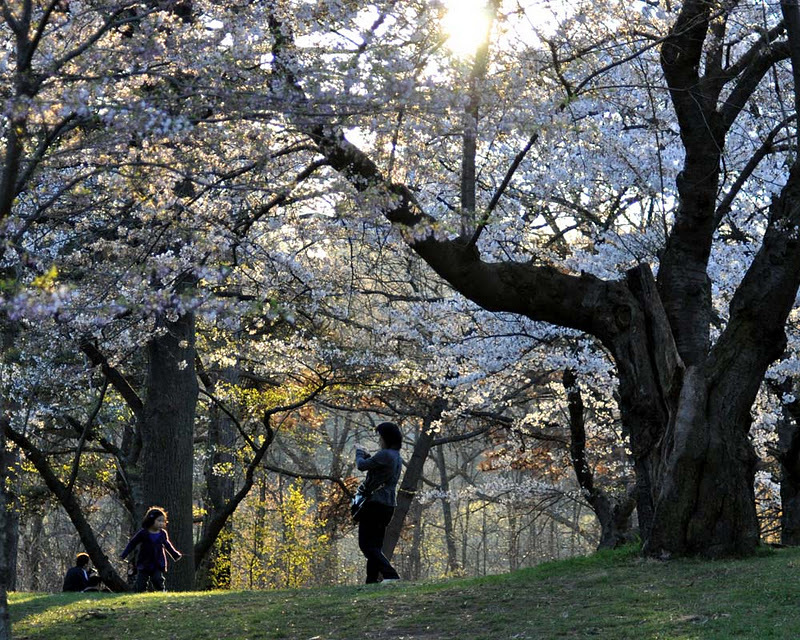 I look forward to the cherry blossoms in High Park. This one is very Awesome! !